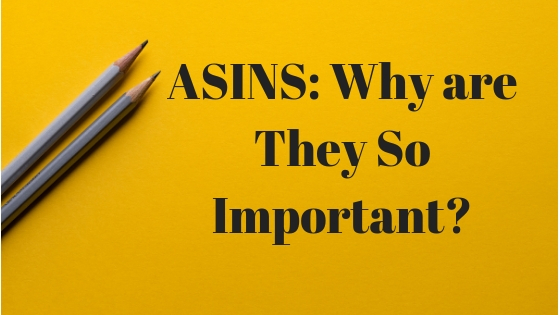 ASINS: Why are They So Important? In September 2018, financial news outlet Bloomberg reported that online retail giant Amazon was planning on expanding its offline presence with the opening of 3,000 convenience stores over the next three years. Three Amazon Go stores have been operating on a trial basis in Seattle since 2017; although the Bloomberg report did not reference official statements from CEO Jeff Bezos or company executives, quite a few market analysts had expected this development. Amazon has been working on increasing its brick-and-mortar footprint for a couple years; there are various reasons to believe that the company is ready to compete in the offline retail sector, and one of these reasons is related to the Amazon Standard Identification Number. A sharp businessman like Bezos would not dream of rolling out 3,000 physical stores without a solid supply chain strategy to support them, and this is where ASINs play a very important role. In 2018, retail industry analysts have come to the conclusion that everything Jeff Bezos does has an underlying purpose to advance his dream of turning Amazon into “the everything store.” The 2017 acquisition of Whole Foods fits perfectly into this strategy; it can almost be described as a “barcode play” in the sense that Bezos now has a chance to stick ASIN tags to perishables. Those who have been following Amazon since its beginnings as an online bookstore know about Bezos’ keen interest in the International Standard Book Number. Bezos is a data guy who was intrigued by the information book publishers collect and associate with each ISBN, and he envisioned bundling that data into an electronic record. 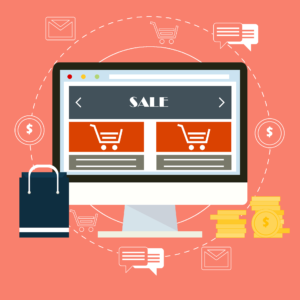 Amazon never dealt with SKU numbers; the company initially used ISBNs before adopting that format to create the alphanumeric ASINs, which these days serve as the building blocks of the most impressive retail platform in history. ASINs fit perfectly into Amazon’s brick-and-mortar plans. Let’s say a shopper is used to purchasing bags of Smartfood White Cheddar Popcorn from the Amazon Marketplace, which is sold under the ASIN B01MY9522Z; this unique product code can also be used in the Whole Foods supermarkets as well as in Amazon Go stores and Amazon physical bookstores in Seattle and New York. The next step for Amazon is to disrupt the price look-up (PLU) global system of perishable product codes already in use at Whole Foods. An organic grapefruit, for example, has a PLU code of 94285 in the United States, but it may also get an ASIN in the near future. For third-party merchants in the Amazon Marketplace, ASINs are extremely important, particularly for product manufacturers, inventors and exclusive distributors. While Universal Product Codes are still required on the Amazon Marketplace, ASINs are more relevant because their functionality extends beyond serving as inventory SKUs. ASINs are advanced electronic records that provide product listing information as well as other functions such as barcode printing, analytics, marketing intelligence, and more. Now that Amazon is becoming a brick-and-mortar competitor, independent sellers could see some of their ASINs sold at physical Amazon stores in the future. For all the technological development coded into ASINs, they are not impervious to hacking. ASIN hijacking is a problem that Amazon has been trying to control, but doing so in a mass scale would interfere with the open nature of the company’s third-party marketplace. ASINs need to be protected, particularly when a seller has introduced 10 or more unique products. With e-commerce solutions such as Brandlox, your ASINs will be protected around the clock. Learn more about Brandlox subscriptions and how ASIN monitoring can keep you Amazon business safe; contact our office today.